Nine-month-old Nancy Jane Clark died this date, March 21th, in 1847 of Varioloid and was buried at Bethel Burying Ground. Varioloid was a mild form of smallpox occurring in people who had been inoculated against the disease. Individuals, especially children, would be inoculated and come down with a mild form of the disease. A small percentage of them would succumb to this illness. It was usually those children in a weakened state or suffering from another illness. Thomas Clark was Nancy Jane’s father. 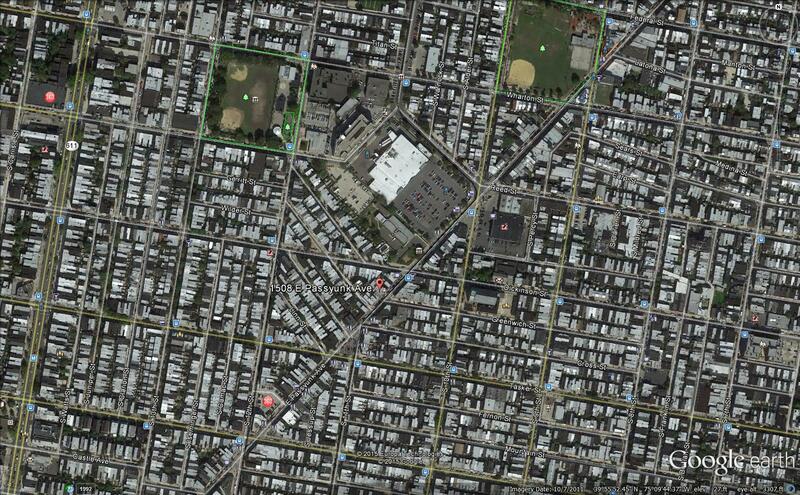 He worked as a carter, probably servicing the County Prison only a block further up on East Passyunk Road. Ms. Clark took in washing and ironing in their home that they recently purchased in the 1500 block of Passyunk Road (west side), near the intersection of Passyunk and Dickerson Street. 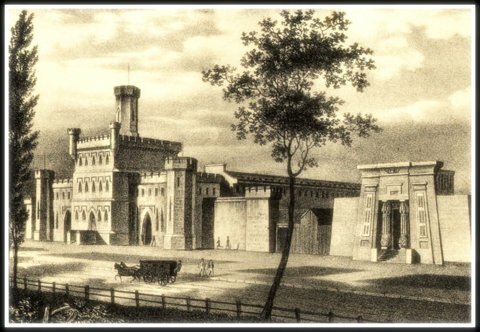 Philadelphia County Prison on Passyunk Road. The men’s section opened in 1835 with the women’s “apartment” opening in 1838. Life in this area was anything but peaceful. In the 1830’s and 1840’s it wore the infamous badge of “the worst slum district” in Philadelphia. Organized gangs ran wild while the police force was unable to protect the local citizenry. According to the 1847 African American Census, there were few Blacks in the immediate neighborhood and fewer who owned their homes like the Clarks. For further reading on the subject go to http://www.preservationalliance.com/wp-content/uploads/2014/09/HCSCluster3.pdf. The red pin marks the approximate location of the Clark’s home. The large parking lot and Acme store to the north is where the County Prison stood.